With the recent Go Live/Roll Out of an EMR at the Royal Children’s Hospital Melbourne, this event will provided attendees insight into the implementation of the EMR. 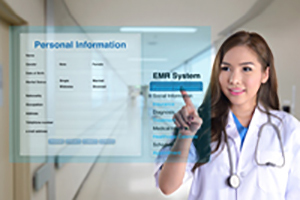 RCH was the first hospital in Australasia to implement the Epic system and went live with this fully integrated EMR across the entire hospital in April 2016. We will present details of what was delivered and the implementation process. Professor Mike South is a dual trained Paediatrician / Intensivist and has clinical and research interests in the area of acute childhood illness. He is Professor in the Department of Paediatrics University of Melbourne and Honorary Research Fellow at MCRI. Mike was Director of the Department of General Medicine for 20 years and is now the hospital’s Chief Medical Information Officer responsible for, among other things, the implementation of a fully integrated electronic medical record system at RCH.